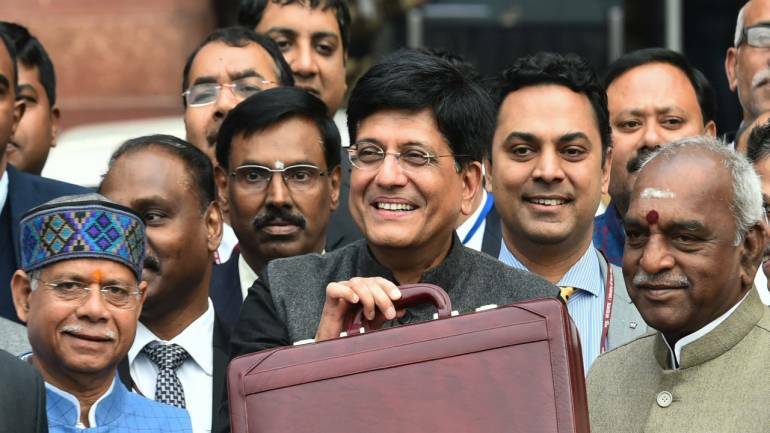 Finance Minister Piyush Goyal pulled off a blockbuster Interim Budget from which not much was expected to begin with. The headline announcement was that the government would now offer a full tax rebate on taxable income up to Rs 5 lakh. This is different from saying that those earning up to Rs 5 lakh are exempt from tax. 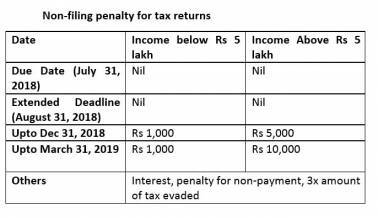 So individuals whose income falling between Rs 2.5 lakh-Rs 5 lakh will still technically be taxed at the regular rate of 5 percent, but the amount will be refunded as a rebate while filing tax returns. Why go for a rebate rather than straight exemption? The first, obvious, reason is the government saves money and only the low- and middle-income individual gets the benefit. "This helps the government offer the benefit only to the low-income earners, without sacrificing on the tax from the high earners in the Rs 10 lakh to 10 crore range,” says Ameet Patel, Partner at Manohar Chowdhry & Associates. “The rich will still pay the tax as per their tax slabs,” says Prakash Shah, a Mumbai-based chartered accountant. However, there's a second reason as well. “The government wants to keep the tax net intact even as they extend the tax benefit to the low-income earners," says Patel. "If the threshold had been increased, people who earn an income below the threshold would not need to file tax returns." 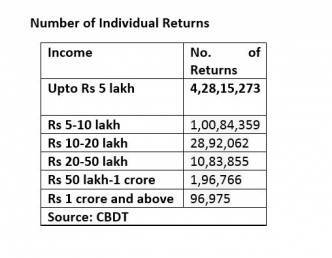 Data by the Income Tax Department shows about 4.28 crore individuals earning below Rs 5 lakh filed return for Assessment Year 2018-19 (income earned in financial year 2017-18). “The law states that anyone who is earning an income above the threshold, which is Rs 2.5 lakh currently, needs to file a return of income," Paras Savla, Partner at KPB & Associates, says. "So, the Income Tax Department wants to still keep a watch on people who are earning an income below Rs 5 lakh. Hence, the tax benefit has been offered as a rebate." The Modi government has made an explicit target to increase the number of tax filers in the country. In the Budget speech, Goyal pointed out that the number of returns filed has increased from 3.79 crore to 6.85 crore -- a growth of 80% growth -- since 2014. The government also encourages timely filing of returns while late returns and non-filing are penalized heavily. “There have been notices issued to a lot of taxpayers during the past few months, without paying taxes filed returns, regarding non-payment of taxes and implications in terms of prosecution,” notes Savla. “Those earning an income of more than Rs 2.5 lakh, who have not filed a return, need to pay Rs 5,000 (Rs 1,000 if income below Rs 5 lakh) penalty until December 31 of the Assessment Year. The penalty increases to Rs 10,000 if not filed until March 31 of the Assessment Year. If one is caught evading taxes, then 3 times the amount of tax evaded is charged as penalty,” says Sudhir Kaushik, co-founder of TaxSpanner.com. Khyati Dharamsi is a personal finance writer.